紅綠燈燈飾開倉 TriLight Zone Lighting Outlet 飛利浦燈飾專門店開倉(PHILIPS Lighting Outlet)清貨區包括LED燈,門市專營品牌風扇燈吊扇燈,LED燈飾專門店,陳列室備50款吊扇燈風扇燈實物示範和過千款與時並進流行燈飾包括飛利浦燈飾,品牌具質素保證. 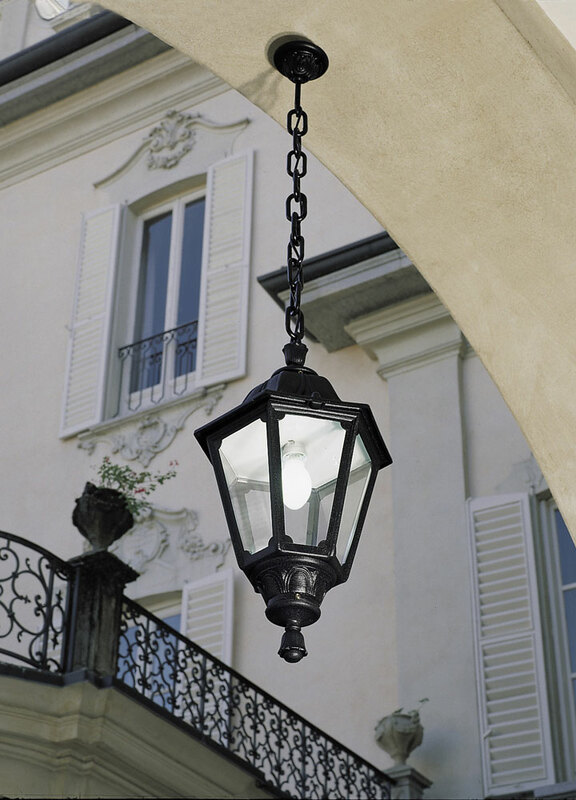 E27 hexagonal lantern in classic style, made of shockproof resin material, UV-rays stabilized, rust and corrosion-free. Modular construction suitable for post top, hanging and wall installation. Provided with high temperature resistant ceiling suitable for ballast fixation. Insulation class II, protection rating IP 55. 編號: 1795. 類別： 古典吊燈 Classic Pendant, 戶外天花 Outdoor Ceiling. Lai Chi Kok, Kln, Hong Kong. © 2019 紅綠燈燈飾開倉 TriLight Zone Lighting Outlet. All Rights Reserved.